"Despite the ups and downs of the real estate process, Justin remains a calm, reassuring presence. I have been recommending him to anyone I know who is interested in buying or selling." Justin is one of the top agents in Brooklyn & New York and regularly ranks among the Top 2% in the nation. Justin approaches real estate as intently as he does everything: with great passion, focus and drive to ultimately touch the lives of others with his work. Buying and selling a home in New York City can be a challenging, daunting task, but with Justin as your partner, you’ll always feel well informed and attentively guided throughout the entire process. Born and raised in the Hamptons, where his family has long been in the real estate business, Justin was instilled with an intrigue for real estate early on. He initially channeled his creativity in the world of fine art, however, pursuing studies in that area and holding high-profile positions while honing his keen eye for quality and design. Since becoming a licensed real estate agent, Justin has capitalized on his knowledge and talents to enjoy tremendous success. He handles apartment and townhouse sales for his buyer and seller clients all throughout the city – in Manhattan from FiDi to Inwood, and in Brooklyn from Crown Heights to Bay Ridge. A current Crown Heights resident and townhouse owner, Justin has also lived in Manhattan, South Africa and Europe as well as various parts of vibrant Brooklyn. 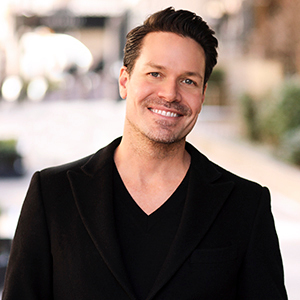 He has seasoned experience representing local and international clients, as well as extensive connections throughout the city and the Hamptons. Driven by an appreciation for art and architecture, Justin completed his first college semester in the south of France, then returned to New York to finish his BA in Fine Arts at Hunter College and earn his Masters at Columbia University. He speaks English and French fluently and is proficient in German. His free time is happily consumed by spending time with his young son.